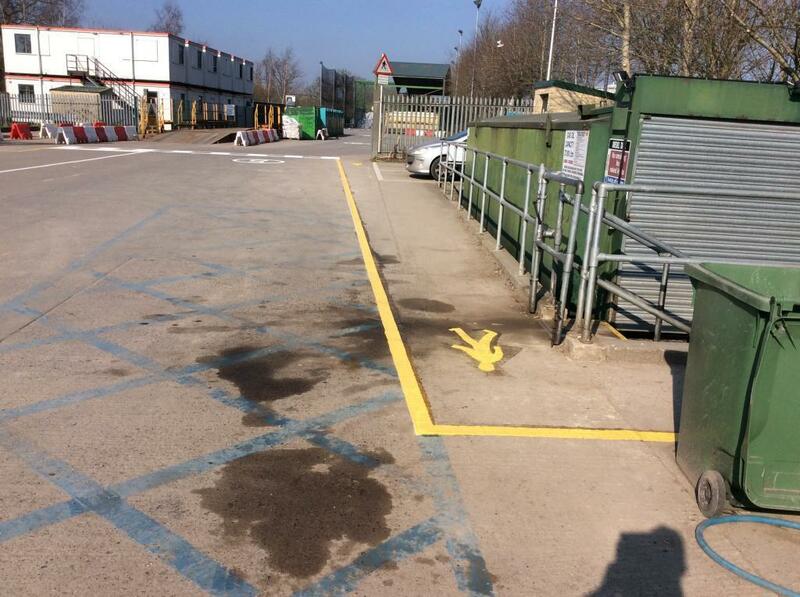 Works are complete, very happy with the work. 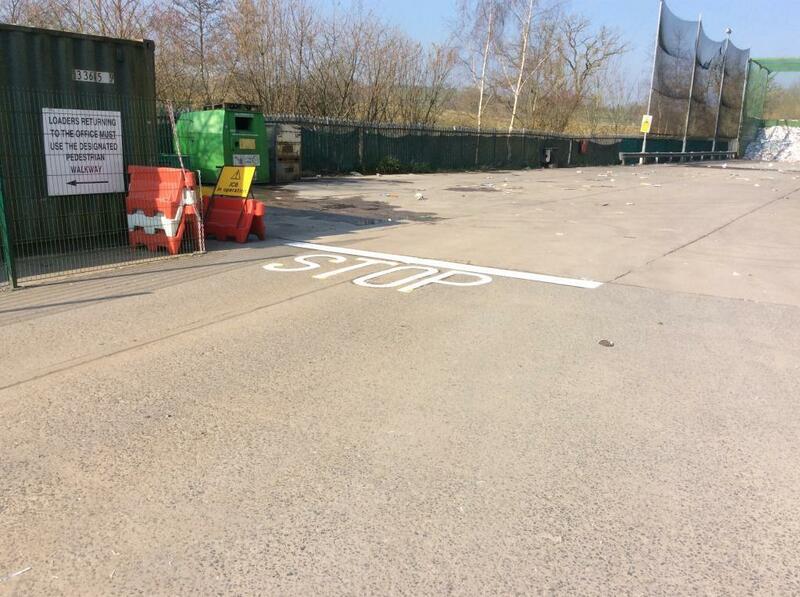 Not so happy that my lorries have made the pretty lines all dirty! Many thanks for all your help. If there is anything else we need, I will be in contact. 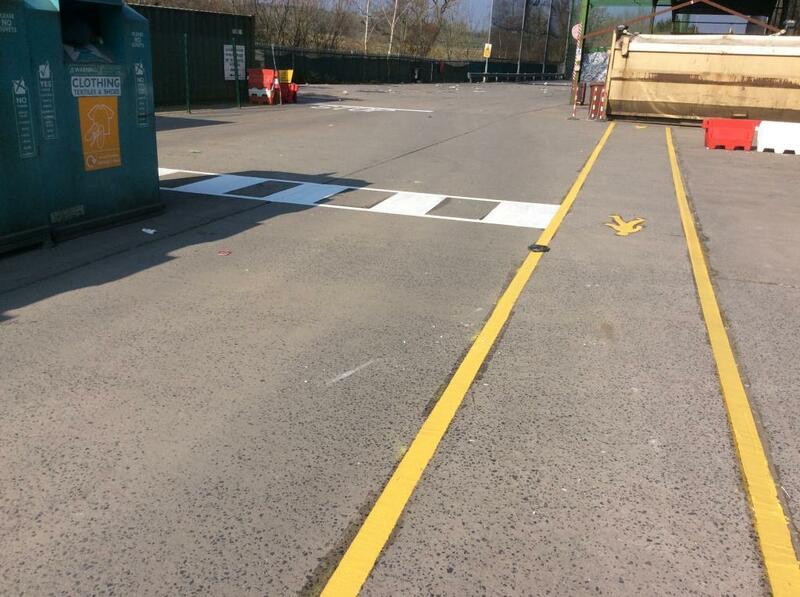 We're delighted to have worked on many sites for this particular customer and on this occasion we were on site at one of their distribution yards. 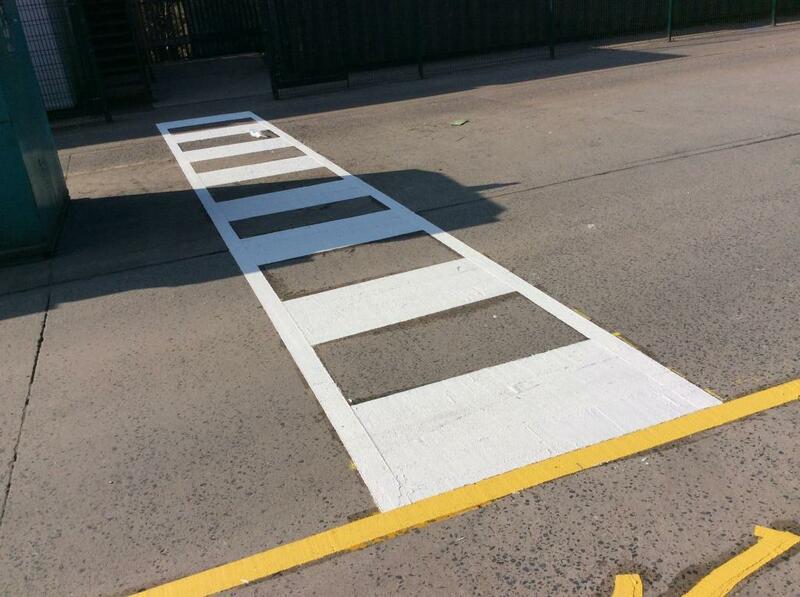 Working with both yellow and white thermoplastic paint, the crew were on site to reinstate a number of yellow hatched walkways and white panels to the pedestrian crossings. 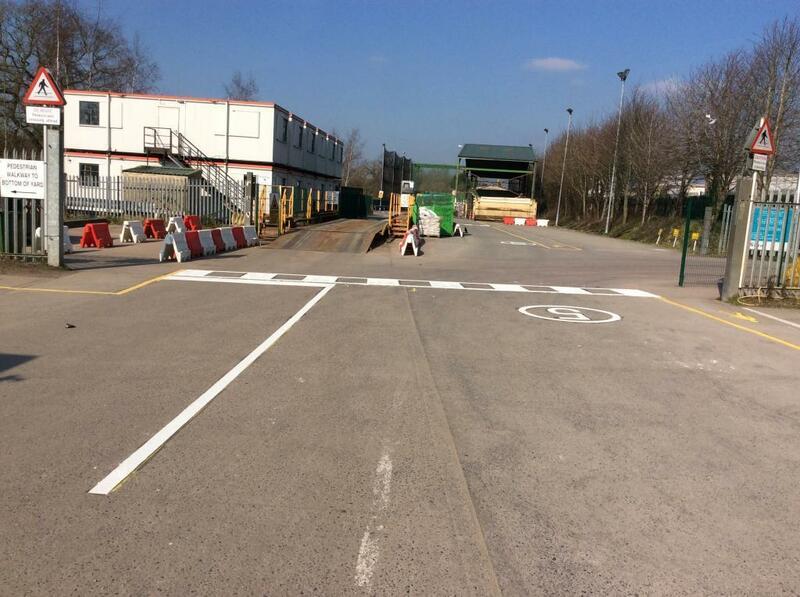 The crew also reinstated 3 x stop lines and centreline to junctions and 3 x 5 MPH roundels. 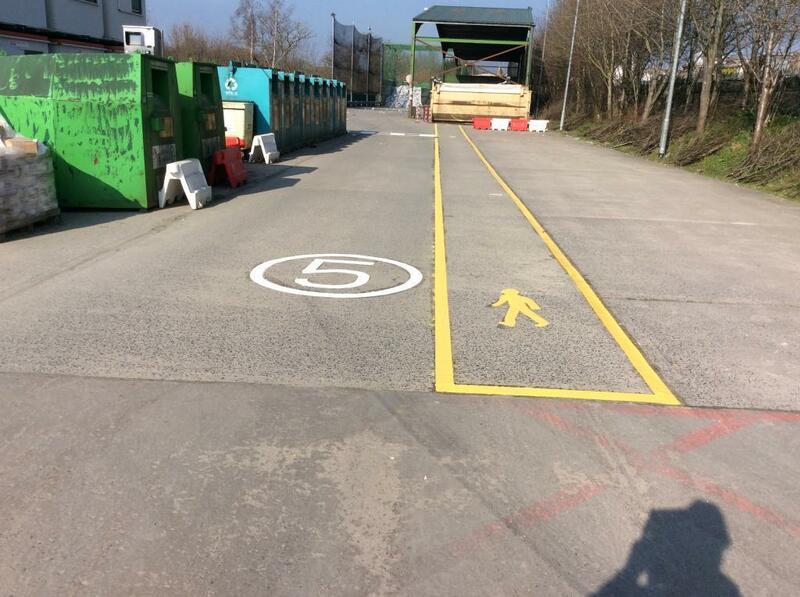 For the site it was all about making sure the lines were crisp and clear to ensure safety, which is paramount in a busy distribution yard such as this. Work carried out April 2018 in Shepton Mallet.